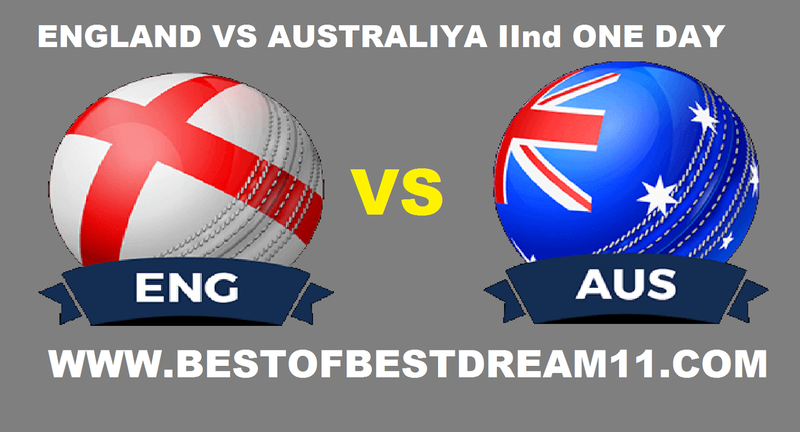 Welcome to our " BEST OF BEST DREAM 11 " FOR '' ENGLAND VS AUSTRALIYA SECOND ODI- MATCH, dream 11 TEAM. Here is best " ENG VS AUS " dream 11 team for the fantasy user who are looking to make a strong team for maximum win. We are providing latest news, match update, information about the match. The team is picked by using various factors on the basis of performance .ground stats and latest form. 1- England defeated Australia in first ODI match, Auatralia's team could only manage 214 runs. 2-Moin ali was given The man of the match for his fantastic performance. 3-Maxwell (62 run ) and ACAgar (40run) played a good innings for Australia. 4- J Root(50run) and E Morgan (69run) played brilliantly from England,while M Ali(3wicket) and L Plunkett(3wicket) made a great bowling. 5-Adil rashid and D WILLY also performed well.